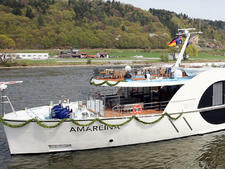 AmaVenita, along with twin sister AmaSerena, debuted in 2015 for sailings on the Rhine, Main and Danube. 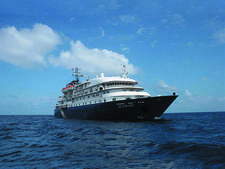 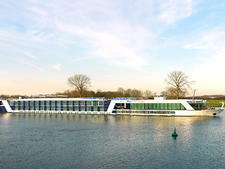 The 164-passenger ship will operate all APT's Royal Collection itineraries, which are designed specifically for guests from Australia, New Zealand and the UK. 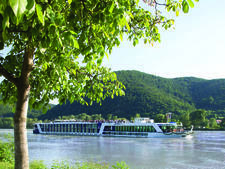 Royal Collection itineraries offer a range of enhancements not available to passengers of APT's US partner, AmaWaterways. 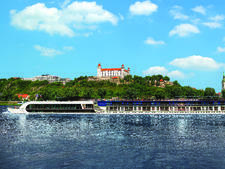 Cruises are escorted by an APT tour/cruise director, and fares include shore excursions, alcoholic and nonalcoholic drinks (excluding premium brands), Wi-Fi, tips and transfers. 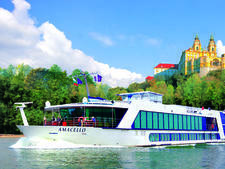 AmaVenita excursions include Royal Invitations, which comprise visits to Namedy Castle in Germany and private concerts in a Viennese palace. 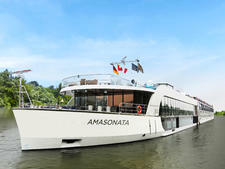 AmaVenita will have a number of connecting cabins for families and groups travelling together. 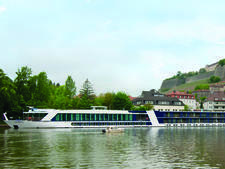 Guests who stay in the top suite categories receive extra benefits, such as room service dining, private butler service that includes ironing and shoe shining, and independent excursion booking. 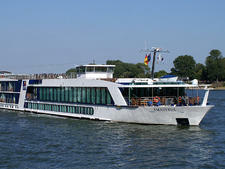 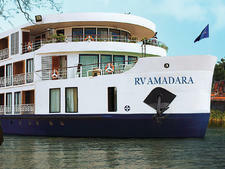 Uncommon for a river vessel, AmaVenita has an outdoor splash pool with swim-up bar. 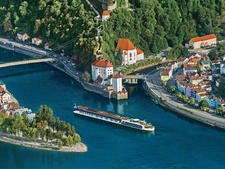 Bicycles are also provided, free of charge, for passengers who wish to explore the bike paths along Europe’s rivers. 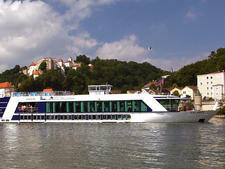 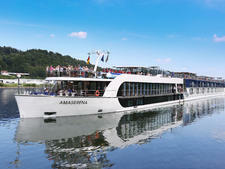 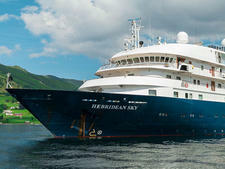 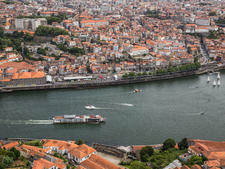 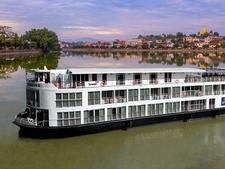 For more details about the ship, see the AmaWaterways AmaVenita review.